Back in 1978, George Lucas began to dream up a new villain for the Star Wars universe. He needed a character that would immediately strike a chord with the audience by his look alone, so he went to Joe Johnston and Ralph McQuarrie. 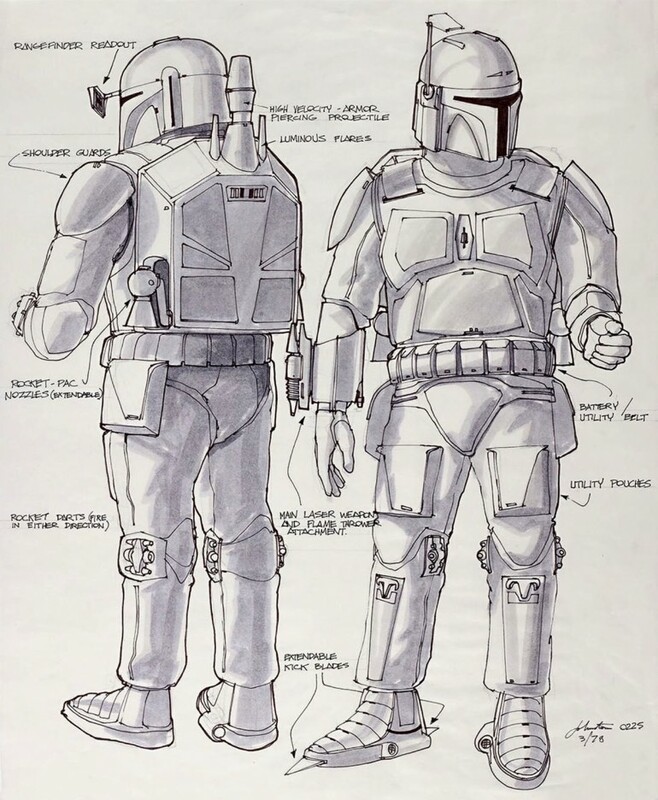 Both McQuarrie and Johnston worked away at the signature look for Boba Fett, and today, we got a look at one of the original concept designs from Johnston. 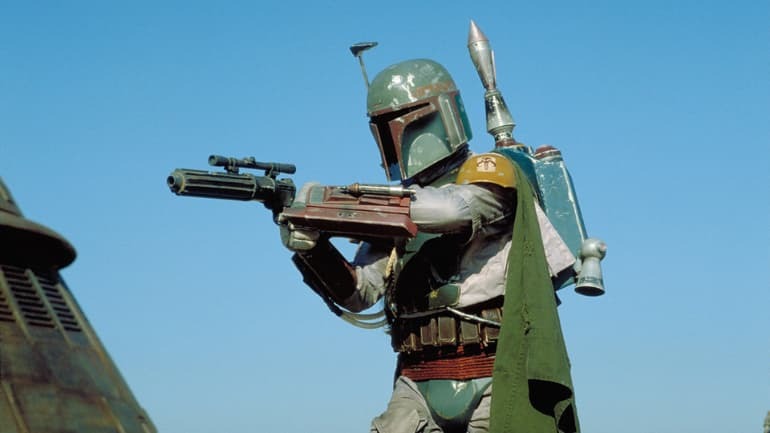 From what we can see here, almost all of Johnston’s vision made it into the final cut of the Boba Fett costume. We can even see a flamethrower attachment listed in the photo that was used for Boba’s father, Jango Fett, in Attack of the Clones. 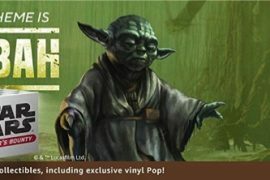 Another awesome find via the official Star Wars Instagram account!